Discount of Train Ticket ! Yes i know you won’t believe it as our Indian Railway does not give any discount offers. But now you can get discount on Irctc and the trick is simple. Recently Irctc added Paytm wallet for transaction to their site for ticket booking. Though still Irctc won’t give any direct discount but you can avail discount using Paytm. 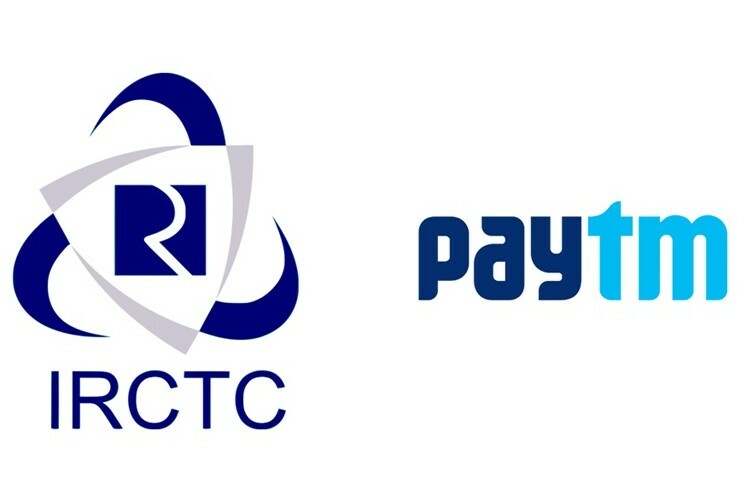 Let me tell you in detail How to avail discount on train ticket booking on Irctc using Paytm cash. This new feature of Irctc will also help during Tatkal booking as during tatkal ticket booking on Irctc the major time waste is during transaction. When Irctc website redirect you for payment and then you will redirect back to original site it take lots of time but now with Paytm Wallet on Irctc, you can book ticket very fast as you can add paytm cash to your account before the tatkal booking. And keep your paytm account login on the same browser that you are using for ticket booking. It saves time and your transaction will be complete fast. Well to book ticket with Paytm, you already need to have enough Pay Cash in your Paytm Wallet. You cannot add cash to your wallet during transaction. So first add money to your Paytm Wallet via Debit/ credit card/ net banking / upi and then go for ticket booking. Proceed with your train ticket booking as you do normally with your Irctc account. Now when the payment option appear select the Cash Card/ Wallet in payment mode. Now click on Make Payment. It will redirect you to Paytm Site, you need to login with your Paytm User id and password. Now pay with your Paytm Cash to complete the transaction. That’s It. Its that easy to use Paytm Wallet to book ticket on Irctc and it is faster then other payment methods. There is one more payment wallet like Paytm, Irctc ewallet it is also faster and save time but you need to register for irctc ewallet first and it does not work at the time of Tatkal booking. As i told earlier Irctc does not provide and discount offer for ticket booking as they already have that much sales. They even charge extra for tickets by Tatkal method. But you can indirectly get discount on Irctc through your Paytm Wallet. Paytm is a mobile recharge website in India and now they have their own digital wallet approved by RBI. Paytm keeps on offering different offers and cashbacks on mobile recharge and shopping on paytm and other website. Like recently i purchased a laptop from Paytm and got Rs4000 cashback. Now i can use this cashback to book ticket on Irctc. With this cashback i can even book my train ticket for free. Like this Paytm gives many other offers also. There is always some offer on Paytm for wallet and mobile recharge. You can check for latest Paytm Offers here. Like few days earlier paytm was offering 5% cashback on adding money to your Paytm Wallet. Now if you add Rs 1000 to your Paytm , you will get Rs 50 extra. So you can use such offers to add money to your Paytm Wallet. And then use your Paytm Cash to book ticket. So indirectly you are getting discount on train booking while other are paying extra. Be smart and use this trick and share it with others. As one penny save is one penny earned. I have written an article for Paytm Wallet offers. You will get great deals there. I like your blog very much. I wil now read it always. Thanks for appreciation, your comments motivate us to write more. Yes you cannot use Paytm wallet at the tatkal time now. Very useful information though I have been booking online on irctc for more than decade. Now I know the latest rules. i want to book tickets form tatkal but can i use paytm wallet during tatkal? ?